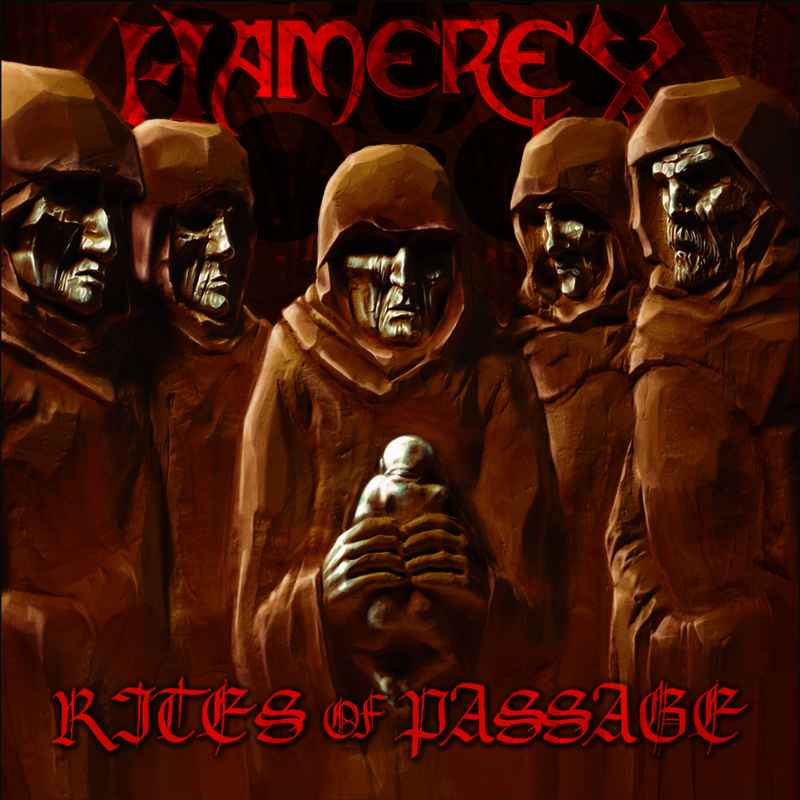 On Friday we digitally rereleased our debut album Rites of Passage through our own label IX Music on digital distributors such as iTunes and Amazon to name a few, and it is also available to stream on websites such as Spotify. Please be aware that there are still some Casket Music distributed copies and digital version of the album which is due to a year long struggle to regain our property from the label, so if anyone’s wanting to support the band, then please make sure you buy a CD from a Hamerex website such as our official bandcamp page or check the label/distribution for the digital version is under IX Music and/or Code 7 and not from anywhere where the Casket Music label is present. We will of course try to release the album physically through IX music and Code 7 in the future but due to financial issues it isn’t possible at this time. Here are some of the retailers and links to the IX Music/Code 7 digtally distributed album. These are links to UK retailers so be sure to check out the retailers regional websites to be if you wish to buy the album in your area.